His agent tells ESPN's Adrian Wojnarowski that the big man has agreed to a deal with the Portland Trail Blazers. "He's an impact player with Playoff experience that will be an excellent fit with our style of play". Blazers beat a crowded field for Kanter, including the Lakers, per sources. But after playing in 44 games - including 23 starts - Kanter fell out of favor when the team made a decision to shift its priorities toward developing their young big men. 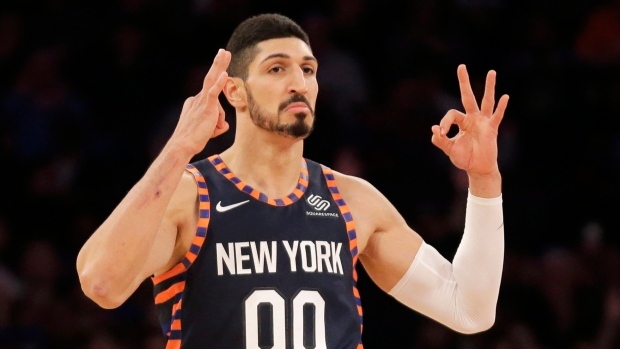 Kanter has appeared in 560 career games with the Utah Jazz, Oklahoma City Thunder and Knicks. Hood and Kanter should be key bench contributors over the final two months of the season as the Blazers jostle for playoff positioning. He heads to a Portland team placed fourth in the Western Conference with a 33-23 record and will spend the remainder of this season backing up Jusuf Nurkic, a role he found success with in OKC, finishing third in the voting for Sixth Man of the Year back in 2016. He'll fill the team's 15th and final roster spot.